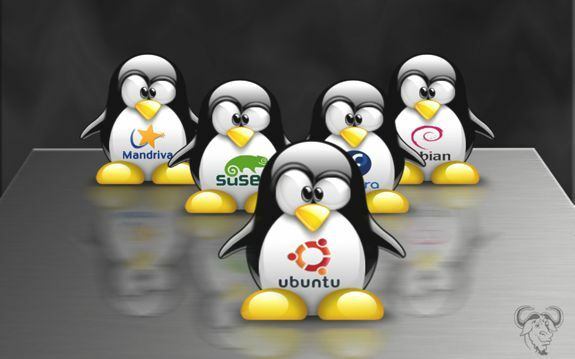 In today's open source roundup: Check out ten of the best desktop Linux distributions. Plus: Amazing Linux supercomputers, and what Linux software are you running? There's a ton of different desktop distros out there for Linux users, but it can be tough sifting through them to find the ones worth checking out. Datamation takes a look at what it considers ten of the best Linux desktop distributions. The list is broken down into two sections: newbies and experienced Linux users. When it comes to selecting the best Linux desktop experience, there are a number of different factors to consider. In this article, I'll explore 10 Linux distributions that I personally believe are the best all around desktop options. I think this is a pretty decent selection of desktop distributions. I like how it's split between newer and experienced Linux users. Sometimes it's easy to forget that people coming from Windows or OS X can be outright confused by the sheer number of different desktop distributions. This list gives them a solid starting point as they begin to transition from their old operating system to Linux. Antergos was one that I had not heard of before, so of course I'm downloading it as I write this roundup. I'm always game for a cool new distribution for my distrohopping. There are obviously a ton of other distributions that could have been added to the experienced Linux user list, but the ones that were included might be considered a bit off the beaten path and I liked that. Linux.com takes a look at a few amazingly powerful Linux supercomputers and comes away impressed. Every year, the Top 500 list of the world's fastest supercomputers is released. A list filled with machines containing tens of thousands of nodes and capable of cranking out enough petaflops per second to make your head spin. And, of course, this list is absolutely dominated by machines powered by Linux. This is awesome. But, really, we all know this. Let's dig a little deeper into these Goliath computers that will, someday, become sentient and rise up against their human creators.